The Western Bulldogs today announced the Club’s 2014 VFL team will be named Footscray Bulldogs. 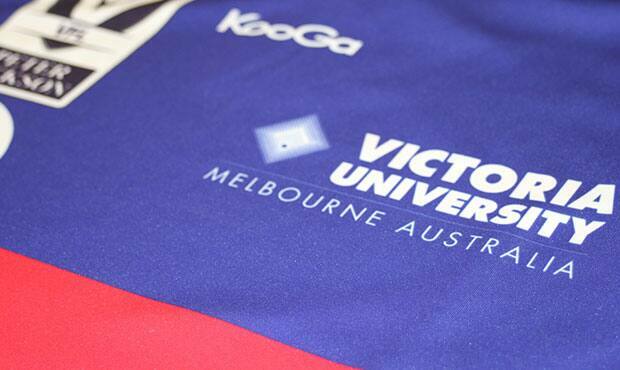 In a significant boost for the Club, the Bulldogs also announced leading sport university, Victoria University, as the Major Partner of the VFL team and the first naming rights partner of Whitten Oval. This historic multi-million dollar partnership between the two icons of Melbourne’s West, will see the Footscray Bulldogs play at Victoria University Whitten Oval from 2014. Simon Garlick, Chief Executive of the Western Bulldogs said the Club was thrilled to have Victoria University on board as the Major Partner of the new VFL team and the naming rights partner of Whitten Oval. “Today’s announcement is one that proudly embraces our heritage while equally heralding the brightest of futures with the Club signing a significant partnership with leading sport university, Victoria University”, Simon Garlick said today. “The partnership makes perfect sense. It provides the Dogs with the unique opportunity to tap into world class sports science and elite sport best practice - right here in our heartland”. A unique ‘knowledge exchange’ relationship, understood to be an AFL first, will be central to the partnership aimed at providing a competitive edge to the Dogs while building best practice research, education and training opportunities for Victoria University students. Underpinning the relationship will be science expertise and capability to help athletes achieve improvements in an ethical, moral and responsible manner. Professor Peter Dawkins, Vice-Chancellor of Victoria University said “as a world-class sport University, we are excited about the partnership. It will set the benchmark for what sport partnerships should be - sharing the outcomes of applied sport science research, engaging with the local community and developing players in responsible ways”. “We can also call upon our well established international networks and have secured the support of Professor Clyde Williams, an acknowledged world leader in sport science who is based at Loughborough University in the UK, to be a member of a Joint Innovation Committee”. The Bulldogs Board recently made the decision to name the VFL team the Footscray Bulldogs after considering the views of Members who were asked by the Club to provide feedback on their preferred option - Footscray Bulldogs or the Western Bulldogs. Footscray Bulldogs was overwhelmingly the most popular choice amongst the 3,000 Members who participated. The establishment of the stand-alone VFL side is a clear strategic objective for the Club. “Having our own VFL team is consistent with our focus and commitment to the development of our young exciting player,” Garlick said. “Our aim is to build and develop our team from within and to ultimately support the delivery of sustainable success, both on and off the field”. The Club will be seeking the support of Bulldogs Members and Fans to help boost the playing facilities at the iconic ground. “We are keen to maximise the opportunity for the Footscray Bulldogs to play at Victoria University Whitten Oval next year and beyond,” Garlick said. “There is a real opportunity for the Bulldog community to help re-establish the Oval as the home of footy in the west – while at the same time investing in the critical development of our future players and future success,” Garlick said. The Club will have more to say on how Members can support the VFL team in the near future.